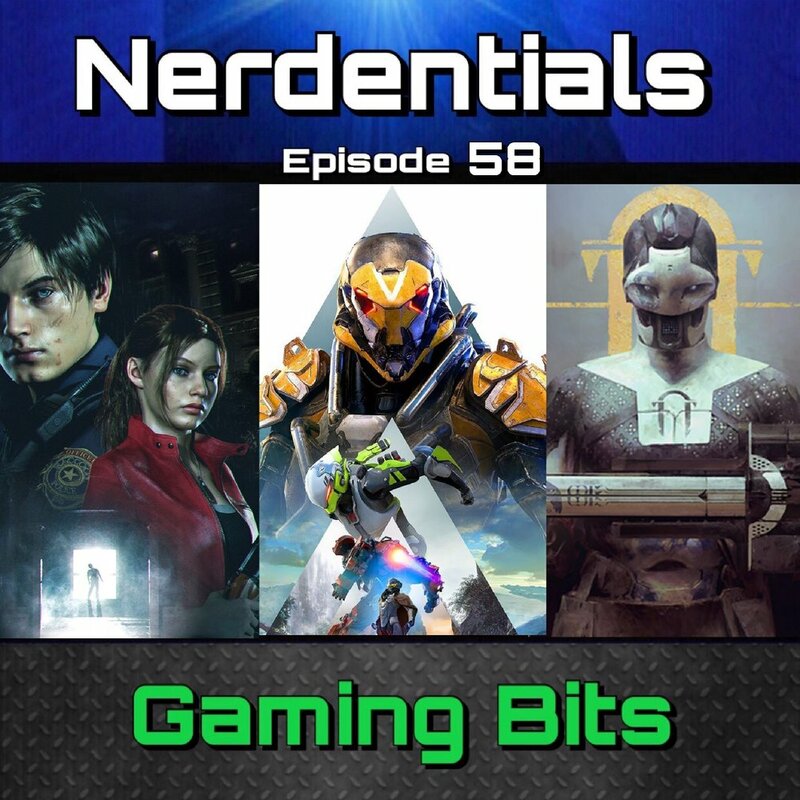 This week in Gaming Bits, your nerd hosts Joe, Nick and Lynn cover 3 major topics. First off we give our initial thoughts on the One-Shot Demo of Resident Evil 2 Remake. We discuss the differences between the Remake and it's 1998 original. Then we get Lynn's thoughts on the Bungie-Activision Split and let him unfold his overall feelings on the current state of the game as being one of our consistent Destiny Players. Then we wrap the show up with a discussion of BioWare's newest IP, Anthem and it's initial Demo Release. The Good, the Bad...will this kill Destiny? Sit back and enjoy the nerdy banter!